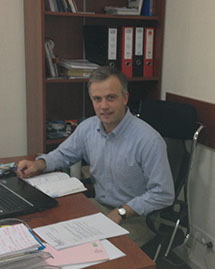 George Khelashvili is a lecturer of international relations at Tbilisi State University, and a team member of the Foreign Affairs Office of the Head of Parliament of Georgia. In 2013-2016 he served as a Deputy Chief of Mission at the Embassy of Georgia in the USA. Before his appointment at the Embassy, Giorgi worked at the Center for Social Sciences as the Director of Academic Programs in 2004-2006. George coordinated academic development of new regional English-language interdisciplinary Master’s program in Social Sciences: Transformation in the South Caucasus. He also was an Assistant Professor (2001-2006) and acting head of International Relations Department (2006) at Tbilisi State University. He worked as policy analyst at the Ministry of Foreign Affairs of Georgia; a visiting fellow at the Monterey Center for Non-Proliferation Studies; at the Kennan Institute at the Wilson Center; and at the Institute of European, Russian and Eurasian Studies of the George Washington University. He has also written extensively for Georgian newspapers and worked as journalist for TV Company Rustavi 2, as well as for IREX. George’s academic interests include International Relations theory, post-Soviet studies, American foreign policy, and democratization. He contributed to the ongoing reform of the Faculty of Social and Political Studies at Tbilisi State University. He has an MPhil and DPhil in International Relations from the University of Oxford.